Harare - Winky D’s stage attack is not a new phenomenon. Legendary Chimurenga singer, Thomas Mapfumo once composed a song retracing his bitter encounter in Marondera. Jah Prayzah once fled a marauding mob at a grave site. Only the intervention of his guards saved the lanky crooner. The list of artistes who turned victims cannot be exhausted herein. 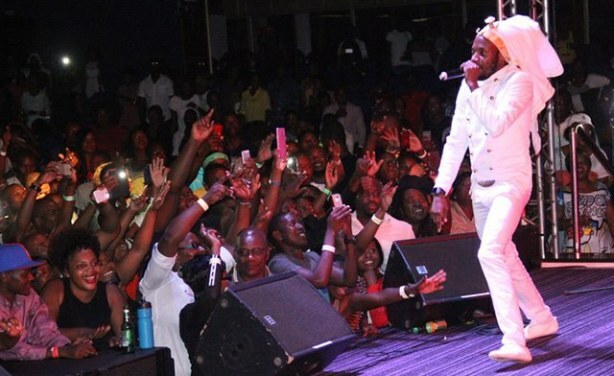 Now the Zim Dancehall sensation, Winky D was confronted with a similar force in Kwekwe recently, forcing him to abandon the show in a haste. The gig at Solomon Lifestyle Cafe deteriorated into confusion as fans pelted the stage with missiles. And observers have concluded that the attack was preplanned and coordinated assault by Midlands gold pirates who are informally referred to as maShurugwi or al-Shabaab. Winky D was getting ready to come on stage with his band already playing and, as he was still warming up the crowd, bottles and rocks just started flying. It was very violent and everyone started running away. One of the workers here saw a group of men that came in a white Isuzu hiding machetes in the flowers and we suspect these could be maShurugwi or al-Shabaab (not affiliated with the East Africa jihadist fundamentalist group). While everyone ran away, a small group of men remained looking for Winky D but he had somehow managed to slip away together with his band. Four of the men then went into the hotel looking for them. The maShurugwi and al-Shabaab Midlands gold pirates are notorious for their use of violence, including murder, to solve disputes and to gain control of gold mining claims. Speculation is rife that the attack was politically motivated after Winky D fell out with the authorities over his new hit song “Ka Song Kejecha” which speaks on the country’s economic problems. "To God be the Glory. Management hereby informs you that Winky D and the Vigilance Band are all safe and sound. Have a blessed Christmas." But fans are known to be hostile to performers, especially of they fail to deliver what they would have promised, after parting with their cash.